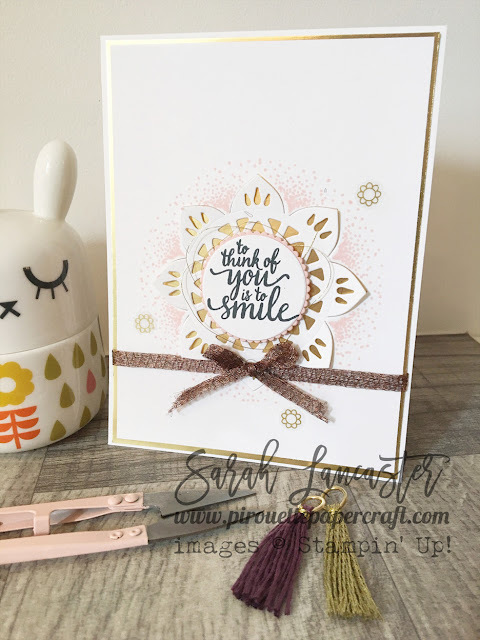 Today I'm back with another creation using the Eastern Palace bundle and showcasing the new Copper Trim ribbon that is coming in the new Stampin' Up! catalogue on 1 June 2017. 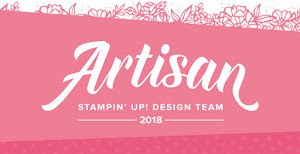 I also have the new incolor Powder Pink to share with you. 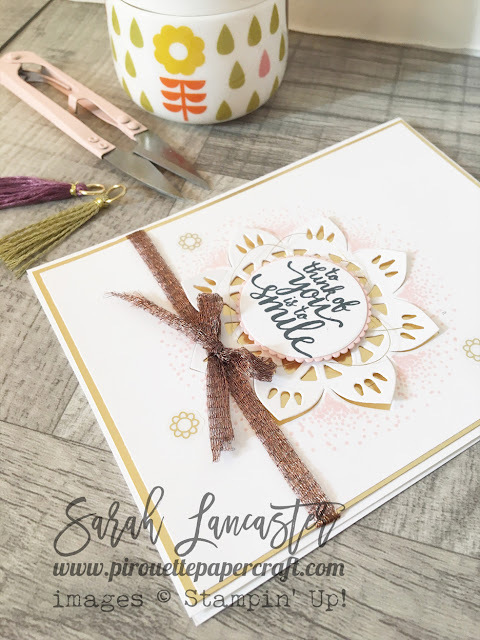 I used the new Powder Pink ink with one of the stamps from the set to emphasise the petals around my flower die cut. And how do you like the new ribbon ? It sparkles - I love it !! My card today was inspired by one I saw recently on instagram created by Melissa Stout, a demonstrator from the US.